Enchanting and captivating, this sparkling delight epitomises vintage bracelets. Incredibly beautiful our Starlet’s Butterfly Bracelet is the epitome of the glamour. 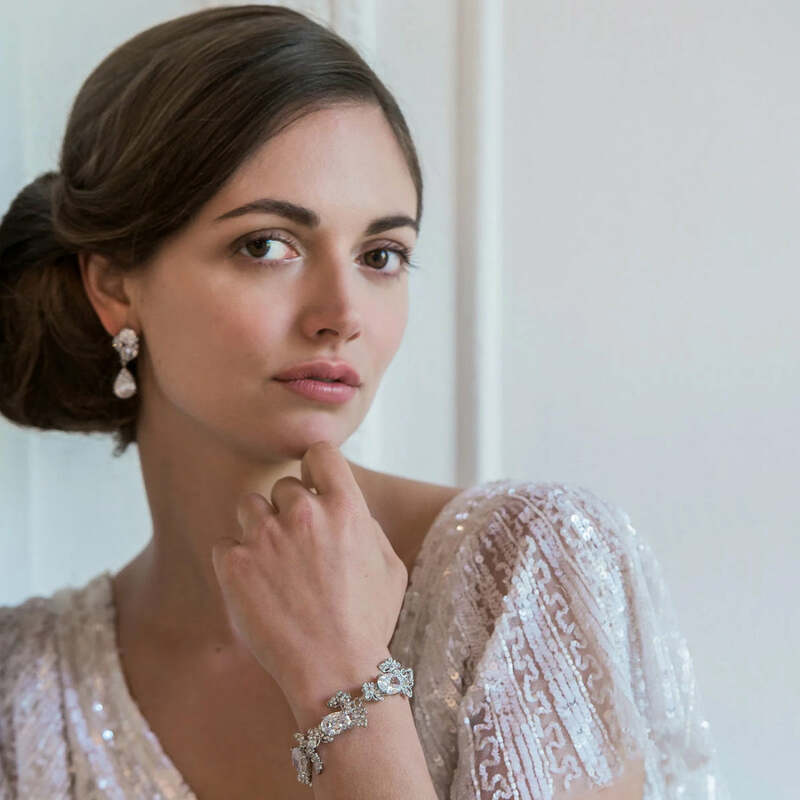 Featuring petite butterflies embellished with a myriad of dainty clear gems linking magnificent large oval stones, this stunning crystal bracelet sparkles beyond your wildest dreams. Taking inspiration from butterfly jewellery from bygone eras, this pretty ‘piece’ has captured the essence of the late 1940s to early 1950s with its shimmering style. With the enchanting charm this delicate little creature brings, our oh-so-versatile Starlet’s Butterfly will accessorise a summer dress or dress up the most elegant floor length gown for a prom or black tie ball. 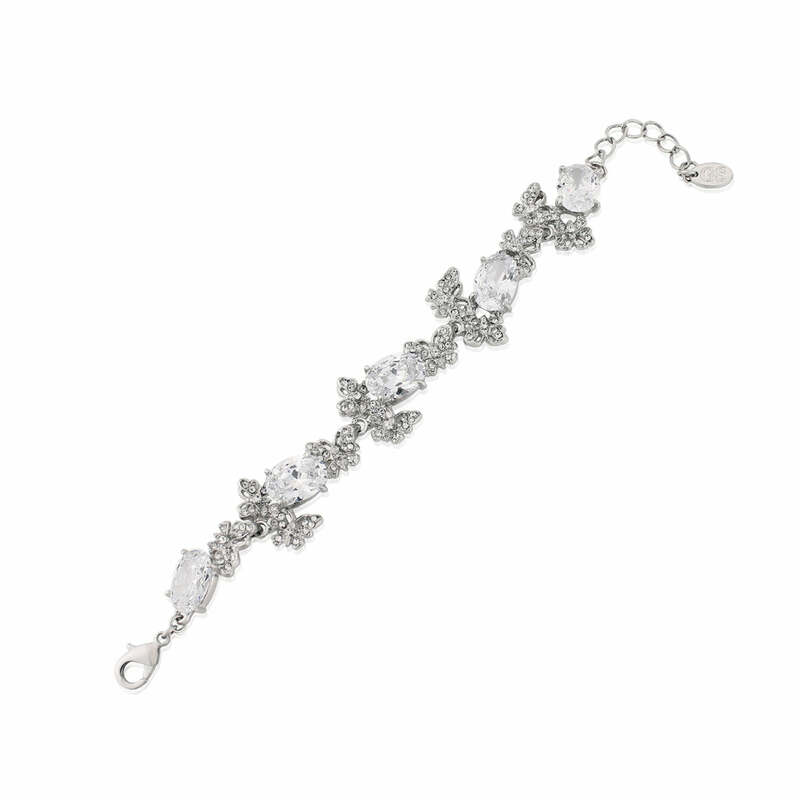 For brides with a butterfly wedding theme, this gorgeous bracelet will look divine with a lace gown or give as a gift to your bridesmaids – the perfect accessory for your special day to then become a treasured keepsake for years to come.